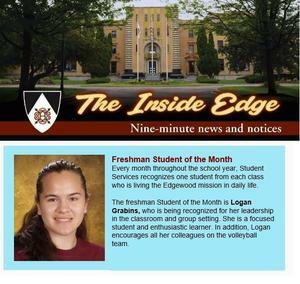 We've gotten several reports of 9th graders excelling during their first few months of high school and we couldn't be more proud. Several are getting noticed for their math and language arts skills, which opens doors for advanced course work. Others are being recognized for demonstrating kindness and respect. Class of 2018 grad, Logan Grabins was recently honored as Edgewood High School's Student of the month!